Aston Martin CEO Andy Palmer told Reuters on Monday that the automaker has prepared for a “no deal” Brexit future by stockpiling some finished cars in Germany and planning to fly parts in on private jets. “We have to prepare for the worst case scenario,” he told Reuters. Palmer said the automaker plans its supplies 12 weeks in advance with a hard deadline for a Brexit deal due in less than 80 days. “You don’t need to do the maths to know that therefore takes us across the Brexit period,” he added. At stake could be the automaker’s relatively bright future after a successful 2018. Last year, Aston Martin launched new versions of its flagship two-door supercar and entry-level sports car; released plans for an upcoming hypercar due before 2020; revived Lagonda as an all-electric vehicle manufacturer; and confirmed a future crossover SUV due later this year that’s likely to be the brand’s best-selling vehicle. Palmer also told The Guardian last year that significant currency fluctuations resulting from Brexit could initially make its cars cheaper to export worldwide. A weak pound sterling could also hamstring development and hiring at its research and development centers in Singapore, Germany, and the U.S.
“A ‘no deal’ Brexit is a disaster,” Palmer told The Guardian in November. Officials at Aston Martin didn’t immediately respond to questions from Motor Authority about Palmer’s statements to Reuters. Unlike global automakers such as Honda, Mercedes-Benz, Volkswagen, and Nissan, which all have manufacturing facilities in the U.K. and abroad, Aston Martin’s only production facilities are in the U.K. and are especially vulnerable to slowdowns or increased costs. Last year, Aston Martin delivered more than 6,000 cars worldwide from its lone plant in Gaydon. 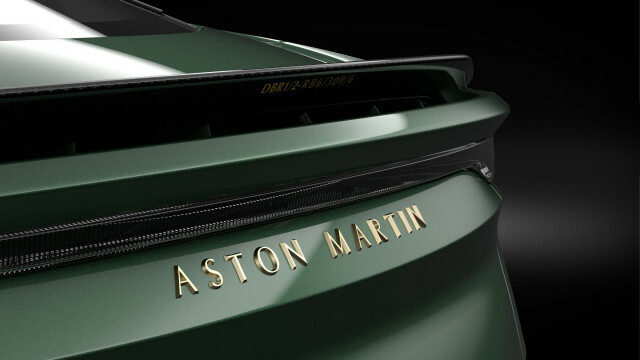 A separate facility to build the upcoming DBX crossover SUV and electric cars in St. Athan, Wales, was built last year and can build up to 7,000 vehicles per year, according to Aston Martin. Officials in the U.K. said that a no deal Brexit agreement would likely delay imported goods at ports such as Dover and Calais, and that food and medicine would be prioritized more than other goods, such as car parts. Palmer told Reuters that Aston Martin could fly parts in to the U.K. for production, albeit at a likely higher cost. “One assumes if you’re putting parts onto a standard chartered plane, no one’s going to kick you off,” he said. Aston Martin hired former Nissan and Rolls-Royce executive John Griffiths as an interim vice president for potential supply chain issues.